Everyone is inspired to create and have fun at Build-A-Bear Workshop with their heart and imagination. Adults can bring their children and other loved ones to build a furry friend. Build-A-Bear “bearquarters” is located in Overland, Missouri, but the retailer has over 400 locations worldwide. The motto “Where Best Friends Are Made” attracts millions of customers to their stores each year. The company is the largest chain, unique in nature within the toy industry, as guests go through a process of creating self-designed stuffed teddy bears and animals of their choice. It is known for its fun quality working atmosphere, especially for those just starting off on their retail career path. It’s a store which promotes high level of interaction between the staff, guests, and products. Build-A-Bear began in 1997 with founder Maxine Clark in Missouri, with its first local store in the Saint Louis Galleria. Maxine has received many recognitions including being named one of the 25 Most Influential People in Retailing in 2008, as she has been a real modernizer in the toy industry. From her creativity, the store uses the bear brand tag name to describe many of the company’s activities and locations. Build-A-Bear offers fun and cultured working environments richly packed with the company’s core values of reach, learn, di-bear-sity, colla-bear-ate, give and cele-bear-ate. Employees are able to bring love and smiles to people every day. For how to apply for Build-A-Bear online, you can find a link to a free application at the page bottom. Through the application process you can easily apply online while referencing your resume. Whether you work at the Distribution Center or World Bearquarters, there are many shown available Build-A-Bear jobs online, at an executive level. Some of their many departments include Warehouse, Web Store, Administrative, International, Legal, Marketing, Human Resources, Marketing, Product Development, Public Relations, Store Operations, Strategic Planning, and many more. There are several possible job opportunities. Retail employees with Build-A-Bear careers, passionate about working with children, bring stuffed animals to life through interacting with guests as they become filled with love and smiles, while creating stuffed companions. You can find a retail position as a Sales Associate, part of full-time Associate Manager, Store Manager, or District Manager. The company also has a wonderful internship program for those interested. 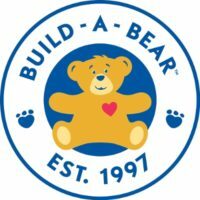 How old do you have to be to work at Build-A-Bear? Generally you must be 16 or older to be hired, but the online application does ask if you are 18 as it may be the minimum age requirement for some positions. Build-A-Bear jobs have been known to be excellent for students and teenagers, alike who are interested in flexible scheduling and truly enjoy working with children. You should “become a Bear” because there are many great benefits to working in one of the open Build-A-Bear jobs, especially if you love children and like to have fun. Perks included for eligible employees are comprehensive comprised of Health and Wellness benefits, PTO, savings and retirement plans, bonus opportunities, work/life balance, life and disability insurances, associate discounts, scholarship programs, and an online corporate perks program. Common operational activities occur at most stores during the open hours of 10:30am and 9:30pm Mondays through Saturdays and from 11:00am to 6:00pm on Sundays, with some variation depending on location. Build-A-Bear locations are open most holidays, though with reduced hours, other than the days of Thanksgiving, Easter, and Christmas. Sales Associate – In this role of employment, one of your greatest responsibilities is to serve customers through helping them create the stuffed pals they have envisioned. You are responsible for helping guests through providing suggestions and to help assemble unique creations. Your duties also include handling daily sales transactions and maintaining store tidiness and cleanliness. Sales Associates earn typically from $8.00-$11.00 per hour. Part-Time Associate Workshop Manager – In this position one typically makes between $8.00 and $13.00 an hour. For this job description, one must possess at least two years of proven success in retail management experience and have outstanding sales abilities. As a professional in this position, your role includes recruitment, development, and training and engaging customers through providing a lively and memorable interaction, among many other daily tasks. Interactive Designer- Designers work within the Web/Interactive department at the World Bearquarters. The salary is usually discussed during the interview. Duties in this role includes designing and developing digital creative elements to be a part of the company website. Working with the Marketing and Creative teams, as an Interactive Designer you will make sure these digital assets meet the expectations of the company’s guiding principles for the brand. Senior Merchandise Managers- Working in the department of Product Development, they provide oversight to a sales team at World Bearquarters. They hold a high level of responsibility while building and managing a multi-million dollar business. In addition to these duties, they also have a hand in product development and purchasing, as well as producing new ideas for production. The annual salary will be discussed at the time of the interview. There are several possible questions you could be asked, but start by reviewing the following to prepare after submitting Build-A-Bear applications. What is your experience working with children? With this question, the hiring manager wants to gather if you have any prior experience working with children as it’s a qualification they greatly seek in candidates. Most every job in the retail aspect of the company requires working directly with children daily. Do you often spend enjoyable time with children? If you submit a direct application with Build-A-Bear, you need to really love spending time with children, as the job requires much interaction with them. If you don’t have quality prior experience with them, you should definitely demonstrate your passion for and enjoyment of children. What position are you hoping to get? You could be asked this to determine if you’re interested in an open position. They also want to know whether you’ll have the enthusiasm the specific position will require of you, should they want to hire you. Do you have the skills and qualifications desired? How would a job at the store fit into the building of your career path? They want you to be excited about work. If you have a goal in mind that it will help you achieve, they believe you’ll give more of your heart to it. They want to see if this will be the case when asking this question. “Did you ever disagree with a supervisor? How was it handled and did it turn out?” are questions that may be asked of executive level candidates. “How do you build relationships with coworkers? Do you believe it’s important to do so and why?” are others. These are designed to delve deeper into how you handle various situations as a person and professional. After completing a Build-A-Bear application, either by receiving a downloaded application form at a local store or applying with their online application, it can take up to a week to be scheduled an interview usually by email. The application requires you to provide various information about your availability, if you’re willing to relocate and travel, your salary expectations, and whether you are 18 or older. A printable application for Build-A-Bear cannot easily be found though you can request a printable application form be sent to you via email. You may prefer the simple online application anyhow when you apply for jobs at Build-A-Bear, which should only take about fifteen minutes with a handy updated resume. Attaching a cover letter they ask for may take a bit more time though if you don’t have one already prepared. For retail positions, most people participate in a group interview. Members of the group will be asked questions and you are encouraged to answer all of them to demonstrate enthusiasm, although it’s not completely necessary. The hiring manager will also share how the store operates and their policies for you to become familiar with. After the interview you will be told you should hear back within a week. If you’re interested in the Build-A-Bear intern program there is usually a separate interview process which often starts through phone or Skype during which they will want to learn more about you, your studies, interests, etc. They will also provide you with more information. Be prepared to also visit a store site and bring copies of your resume, letters of recommendation, and application you will have received through email.